Orange is a great color for me --- I love anything Autumn! 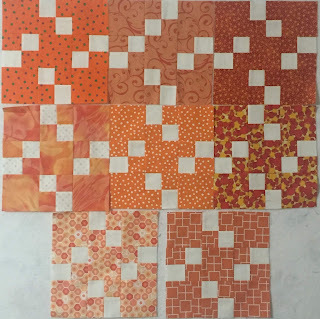 Plenty of orange scraps and "CHUNKS" (I do believe "chunks" is an official quilt term). This is the 4-Patch/9-Patch blocks. Then I played a little on the design wall. In the past, I threw them up on the wall like spilled crayons -- this time I put them up a little more organized. 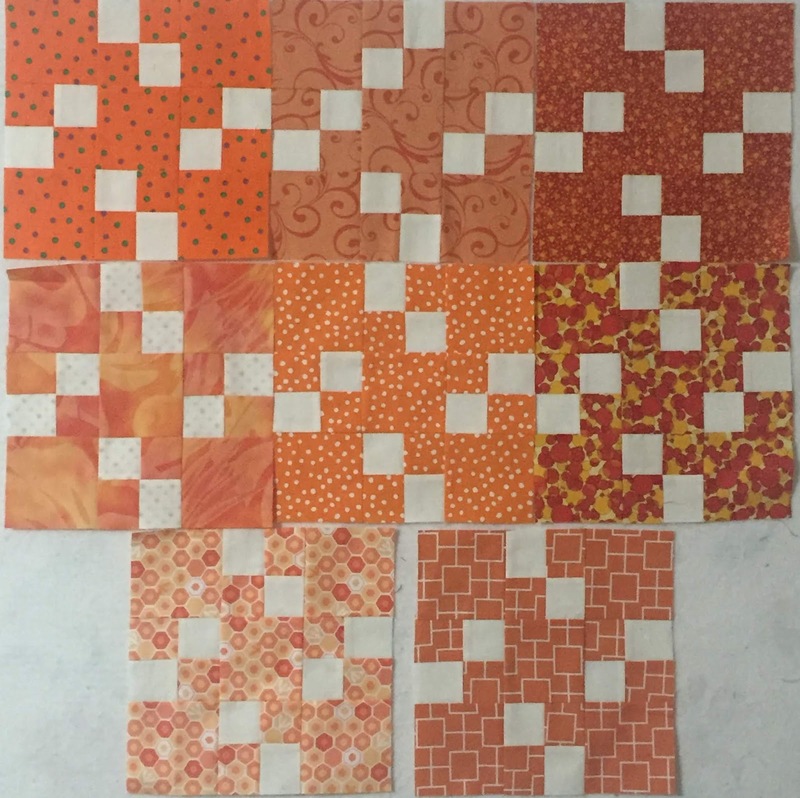 ORANGE blocks add some POP! to the quilt layout. I like the color marching up and down the stairs. Looks good! Beautiful blocks, and I love the diagonal setting! What a fun pattern with lots of movement! I love your project, Jamie. The little white squares just make this top sparkle. I'm looking forward to seeing your quilt come together. The small white blocks looks like large snow flakes from a distance. This quilt block is definitely on my bucket list. Whoa! What a sweet simple block that comes together like magic. 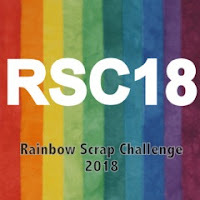 It looks wonderful in a rainbow layout. Your quilt looks better and better every month! Selecting that block pattern for RSC blocks was genius!